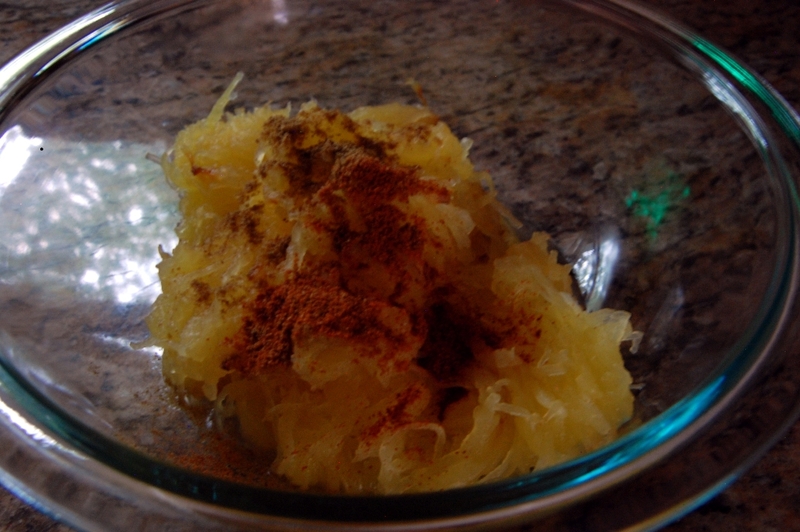 Spaghetti squash is one of those type-cast ingredients. The poor guy is so versatile, but he shines so very well as a pasta substitute, that sometimes we forget to let him stretch his wings. And so I give you: Spaghetti Squash Tacos. Baking spaghetti squash is a little time consuming, but the cool thing is that it stores well in the fridge or freezer – so you can make up a whole bunch at once. We’re really only talking about 40ish minutes in the oven, though. Not too bad at all. I made up a batch of stuffed shells about a week ago and had some ricotta left over. 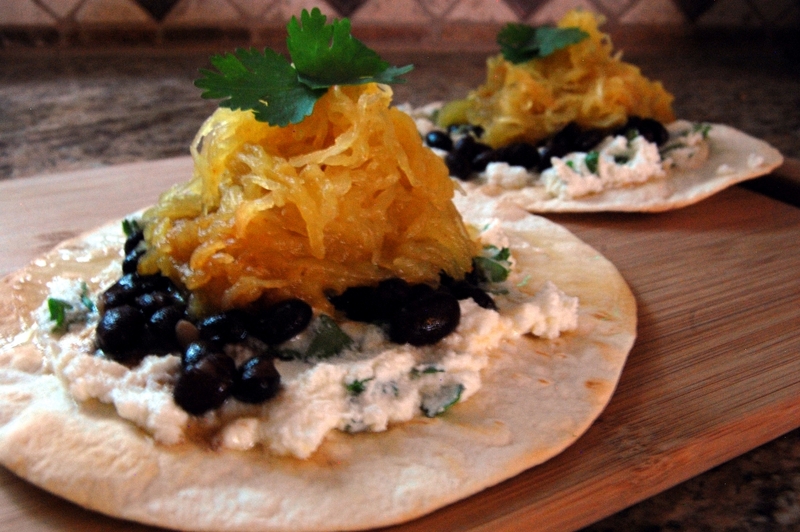 Hey, if spaghetti squash can be a taco star, then ricotta can, too (with a little help from some cilantro and lime). Very loosely chopped cilantro – this recipe is super easy. Plus it looks better all mixed up that way. If you’re used to seeing spaghetti squash covered in marinara, feast your eyes on the photo above, where our celebrity is dusted in chili powder and cumin. Stir it up, stir it up. 1. 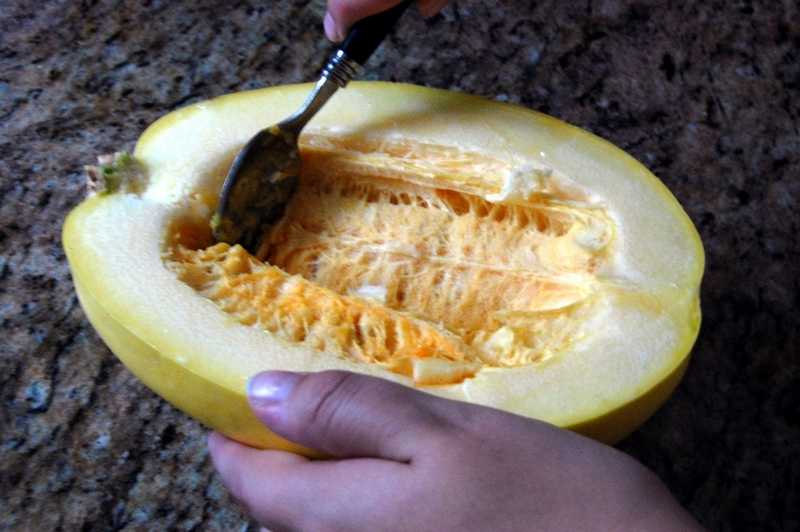 Preheat oven to 375 F. Slice spaghetti squash in half lengthwise and use a spoon to remove seeds. Lightly coat baking sheet in olive oil, then place squash flesh side down on sheet. Bake for approximately 40 minutes until tender. 2. 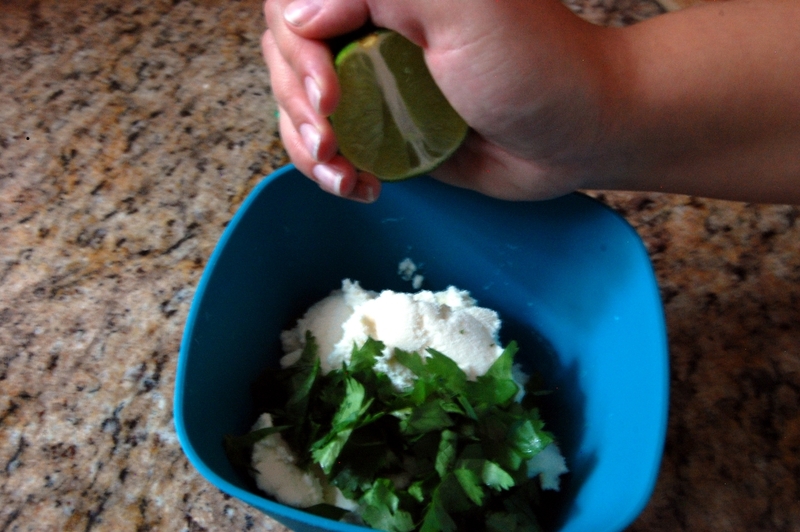 While squash bakes, mix ricotta, cilantro, and lime. Heat black beans (I threw them in the microwave for about 3 minutes, stirring once at the halfway point). 3. Using a fork, separate flesh of squash into strands and then mix in chili powder and cumin. 4. Heat tortillas to desired level. Spread ricotta mixture across each tortilla, then follow with a layer of beans and finally the spaghetti squash. Optional as shown: garnish with cilantro leaves. This entry was posted in Dinner, Vegetarian and tagged Cilantro, Cooking, Easy, Lime, Recipes, Ricotta, Seasonal, Simple, Spaghetti Squash, Tacos, Tortilla by Lazy Suzan. Bookmark the permalink. This looks really interesting and I love anything with cilantro. Wow, these look wonderful Susan! I have never thought to add spaghetti squash to tacos but it sounds fantastic! 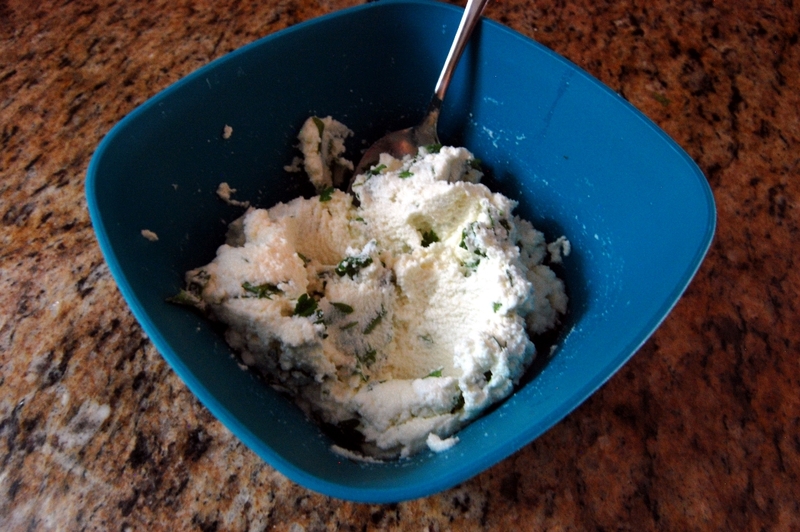 Love the combination of this with ricotta and cilantro – yum! Thanks Kelly! It’s a tasty way to change it up a bit. This is a new one on me. I never would have thought to use squash of any kind in a taco. Using spaghetti squash would up the shock value with your dinner guests — in a good way. These tacos sound delicious! Yummy! 🙂 Thanks for sharing! What a great way to use spaghetti squash! I try to make a meat-free meal at least once a week, and this sounds like it could be a fabulous dinner! Thank you! 🙂 Do you cook with spaghetti squash often? I am always looking for new recipes! Hi Suzan 🙂 I’m using many kinds of pasta .. just let me think about a recipe and I’ll get back to you okay? Have a great week ahead. I think your photos are lovely!